Editor’s Note: MeriTalk reporter Morgan Lynch spent a full day at FCC headquarters meeting with the agency’s IT leadership to produce this candid, inside look at how they are adjusting to the agency’s new leadership and program priorities. The IT team at the Federal Communications Commission has been working to re-prioritize its projects to align with the goals of the agency’s new leadership, which has forced officials to make tough decisions about modernization. 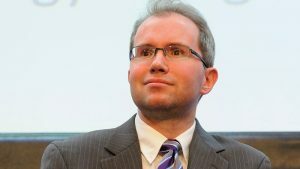 David Bray, the chief information officer at the FCC, and his team presented the projects that they are working on to Chairman Ajit Pai earlier this month to get his opinion on where the team should focus its efforts. Pai wants the IT team to focus on the development and back-end technology for the FCC’s actions including Mobility Fund Phase II and Connect America Fund Phase II, which serve to bring broadband to underserved areas. “Chairman Pai is interested in reaching the people who can’t be reached,” said Christine Calvosa, deputy CIO for resiliency and technology at the FCC. Pai also wants the FCC to have more online dashboards that increase the transparency of the agency. Pai’s goals have the IT team focusing on maintaining systems first, then ensuring the security of systems, and lastly, modernizing systems with any leftover time and money. This has led the IT leadership to discuss what needs to be modernized, what they’d like to modernize, and what should be modernized further down the road. Another challenge that the IT department has faced is putting hiring for certain positions on hold because of the Federal hiring freeze. MeriTalk reported earlier this month that Pai admitted that he had yet to study the impact of the hiring freeze on his agency. However, the FCC has been able to hire cybersecurity professionals because of the exceptions outlined in the executive order. “Of course we’re fully supportive but it’s caused us to adjust a bit,” said John Skudlarek, deputy CIO for management at the FCC. One of the groups within the FCC’s IT department works individually with each bureau to set priorities and work on the IT projects that will contribute to their missions. Rich Mansfield, associate CIO for stakeholder relations, said that the department receives constant requests for new solutions but often they don’t have the time or the money to tackle every problem. Mansfield said that his goal is to have the bureaus rank their priorities and if there is money left over at the end of the year, the IT team can focus on projects that are further down the list. One project that Mansfield looks forward to working on is modernizing the FCC’s Equipment Authorizing System (EAS). Congress approved the money for modernizing the system last year during Congressional Reprogramming, which reallocated money that wasn’t used during the year. Congress is still going through the final steps to turn over the funds to the FCC. Agencies spend about 80 percent of their IT funds on maintaining legacy systems. “With the amount of money that we spend on maintaining systems, it only gives us a small amount of money to modernize,” said Sarah Millican, digital strategy adviser to the FCC’s CIO. Another challenge of IT modernization is dealing with the change in agency culture that follows the change in system, according to Dustin Luan, senior adviser of innovation for the FCC. Employees get used to manipulating legacy systems in order to do their jobs and have a hard time adjusting to new applications. Luan said that sometimes employees spend all of their time trying to manipulate old systems that they don’t get much work done. Bray said that when the team wanted to update the FCC’s consumer complaints system, they found that the new application would change the nature of about eight people’s jobs. Bray worked with these employees to get them comfortable with the change, which allowed his team to focus on the technical aspects of modernizing the complaint system.